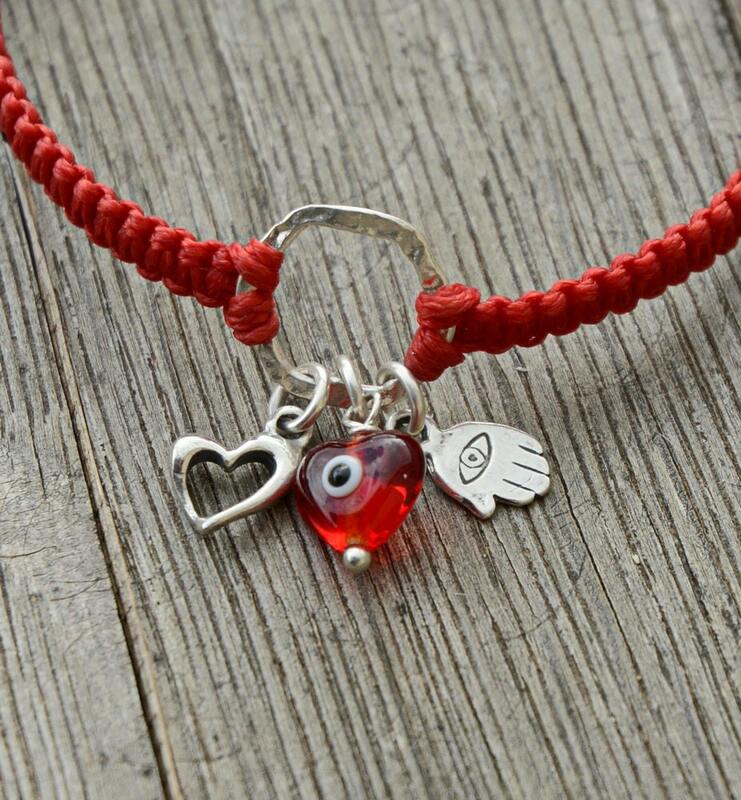 A beautiful love filled handmade bracelet with multiple symbolic charms hanging from a silver ring. 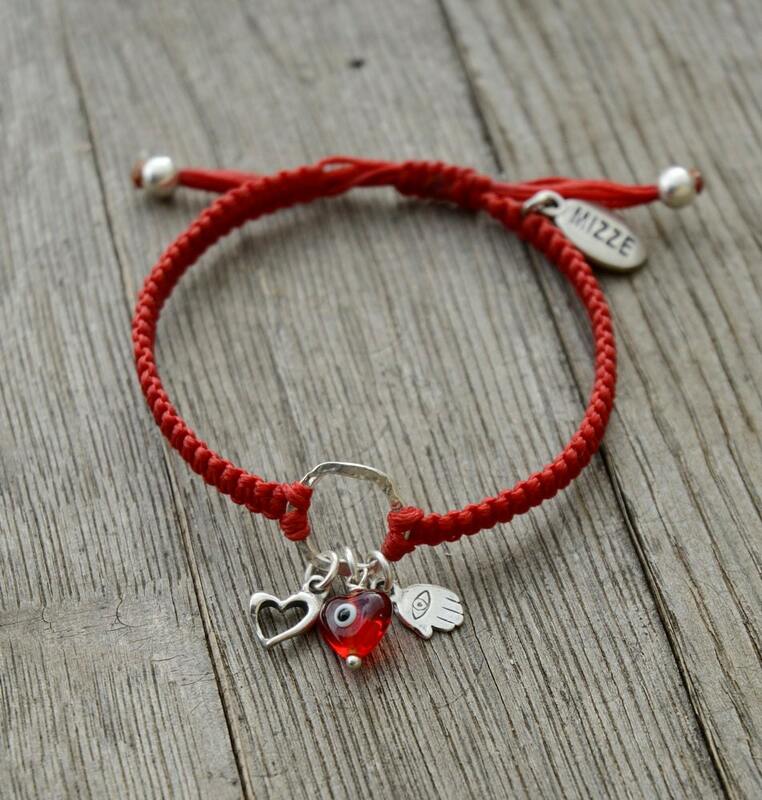 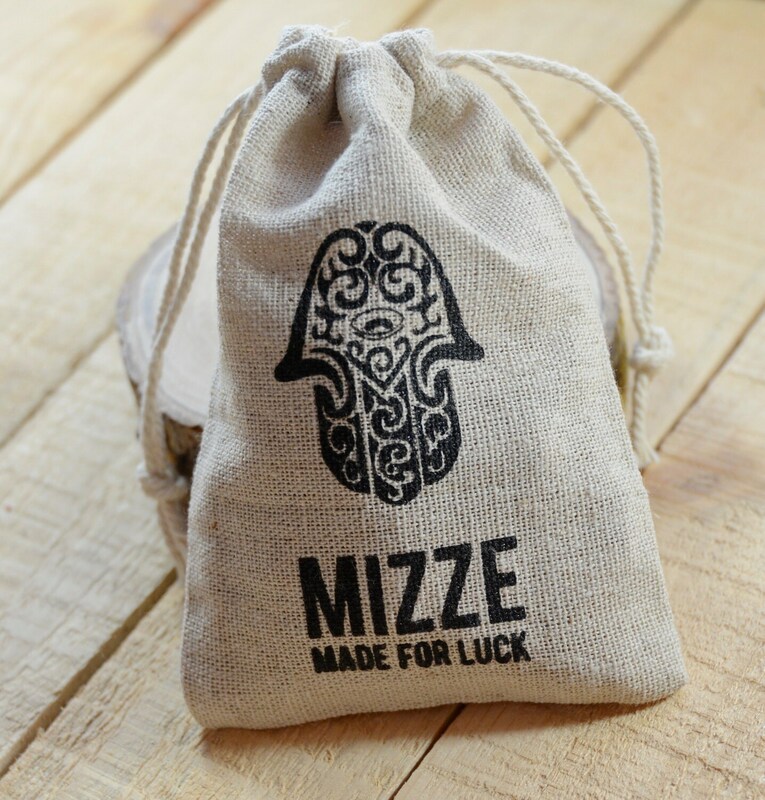 The charms include a Hamsa Hand, heart and Evil Eye heart for protection against ill-will and creating a loving atmosphere for its owner. 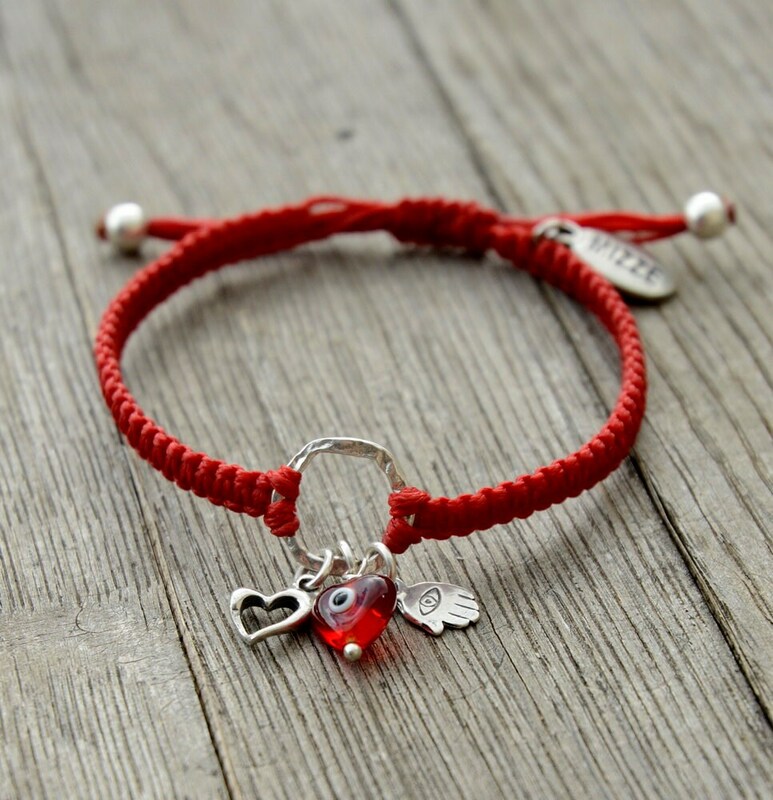 The bracelet is adjustable to fit most sizes (6.5"-7.5").